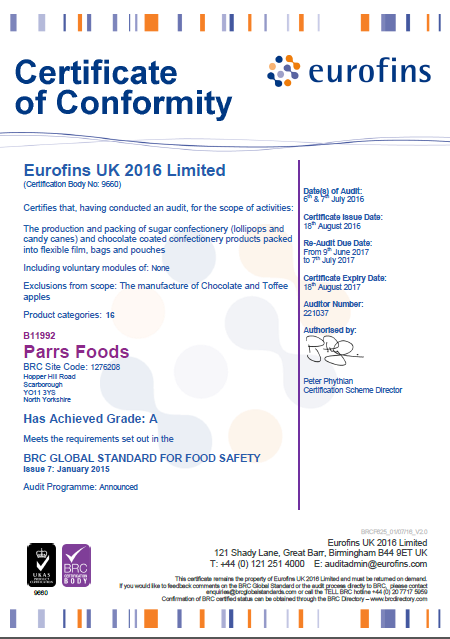 Approved to BRC grade A confectionery manufacturing site. We offer flexible manufacturing production. To innovate products in niche confectionery segments, currently novelty sugar and chocolate confectionery, toffee apples and hand crafted confectionery products . 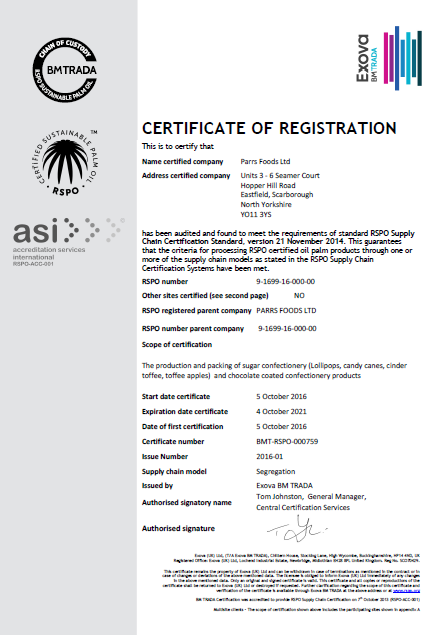 To manufacture products to all legal and food safety legislation and to continuously improve our HACCP, allergen control and good manufacturing practices, to ensure we exceed our customer expectations. BRC , RSPO , UTZ . We are passionate about what we do. Our products are made to traditional recipes. Our factory and our staff share our vision to make everything we do with real care to produce the very best quality. We focus on our product quality and attractiveness while maintaining food safety and hygiene rules. We specialise in honeycomb and toffee/chocolate apples and we believe our products are the best.